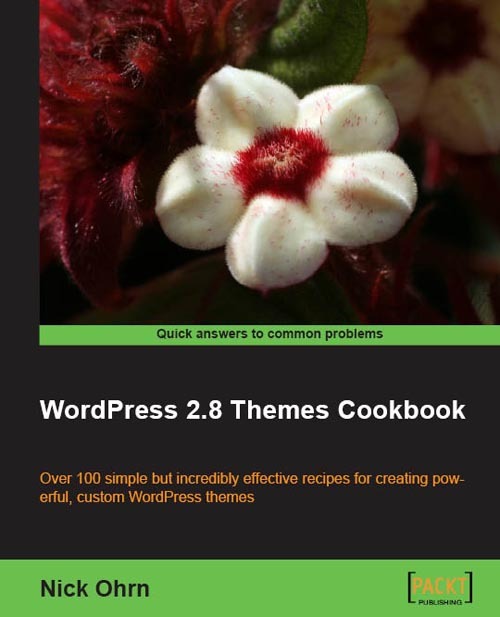 Somewhere in april Packt Publishing will release the WordPress 2.8 Themes Cookbook. I will be reviewing this book on my website. The book is writing for WordPress developers and webmasters who want to learn how to create custom themes for their site/blog. It`s recommended to have experience with WordPress and HTML/CSS before you start with the book. I recieved my copy meaning the review will be online this week. I finished my review and after it`s proofread it should be online.